CZECH PLATFORM: Telefonica O2, T-Mobile and Vodafone in the Czech Republic have launched a joint website to provide information about mobile payments services. 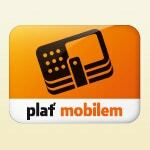 Czech consumers can currently use their mobile phones to pay by SMS for a wide range of services including transport tickets, parking, event tickets, digital music and DVDs and the new Plat Mobilem (pay by mobile) site is designed to raise awareness amongst both consumers and businesses. Eyecatching orange and black Plat Mobilem stickers are also to be distributed in the near future to all locations where consumers can pay by mobile. AKBANK PUSHES CONTACTLESS: Akbank has placed a multi-billion dollar order with VeriFone for the supply of 41,000 contactless POS terminals to be distributed to the bank’s merchants across Turkey. “We search for the most innovative and reliable products to support our Axess network, one of the widest loyalty programs of Turkey,” says Akbank’s Osman Tanacan. The order includes 26,000 VX520 countertop systems, 10,000 VX680 portable handheld payment devices and 5,000 1000SE contactless PINpads. GERMANY MOVES TO CONTACTLESS ID: The German government will start issuing a new electronic ID card based on contactless smart card technology to all citizens in November. The ID card includes an electronic proof of identity (eID) feature that safeguards the user’s personal data when transferring information over the internet, such as when making online purchases, downloading music, confirming age or place of birth, filing an insurance claim, or communicating with local or federal authorities and administrations, reports SCM Microsystems. The company offers a Chipdrive IT security kit that includes a USB contactless smart card reader that can be used with the German ID card as well as with cards for transport applications and other payment systems. MOBILE BANKING GUARANTEE: Mobile financial services specialist mFoundry has come up with an interesting way to persuade banks to adopt its mobile banking technology. New mFoundry customers can now take advantage of an optional package of adoption services that guarantees a minimum adoption rate of 10% of the marketed base within one year of launch. STARBUCKS EXPANDS 2D PAYMENTS: Coffee chain Starbucks has expanded the availability of its 2D barcode-based mobile payments system to nearly 300 stores in New York City and in parts of Long Island. Starbucks first began testing the service in September 2009 in 16 stores in Seattle and Northern California. “Mobile technology is part of our customers’ daily routine and with the expansion of mobile payment in our test cities, we’re seeing more and more customers using their smartphones as their mobile wallets,” says the company’s Brady Brewer. M-PESA ADDS SUPERMARKETS: Kenyan mobile network operator Safaricom has signed a deal with Uchumi and Naivas Supermarkets that will see its 12 million subscribers able to use their M-Pesa mobile remittance accounts to make payments at the point-of-sale. M-Pesa was launched in 2007 to enable Kenyans without a bank account to use their mobile phone to transfer money via SMS. The new Nunua na M-Pesa service provides a simple ‘buy goods’ option on customers’ phones which they use to enter the till number of the organization they are paying, enter the amount of their transaction and then enter their M-Pesa PIN number to confirm. “Following positive feedback from customers who participated in a pilot, as well as the Central Banks go-ahead to roll-out, we shall now proceed with expanding the merchants that will accept Nunua na M-Pesa,” says Safaricom CEO Michael Joseph. PAYPAL EXPANDS MOBILE: PayPal has announced a wide range of new mobile features and partnerships. New services include Mobile Express Checkout, a secure two-click checkout experience on a mobile device, a Mobile Payments Library supporting subscription-based mobile purchases and PayPal Mobile for iPhone 3.0. The company also announced a partnership with VeriFone that will let merchants use its PayWare mobile merchant app to accept payments by PayPal and will also have support for PayPal Bump. A partnership with Appcelerator, which provides a mobile, desktop and iPad application development platform, is also designed to make it easier for PayPal’s 8m merchants to create mobile commerce apps.